Applying a teacher’s practice advice may seem to be something we all wish to do. We ask questions and we may get some very profound answers. But sometimes, we don’t really know how to actually follow the advice we’re given. And sometimes, we ask many questions and get a lot of answers, but we don’t seem to know how to take them to heart. Here, Phakchok Rinpoche addresses this question and encourages us to understand how to rely on a teacher. The first answer is fast: practice. Just practice. Don’t ask too many questions, but truly do what we have been taught. Rinpoche explains that he has often said that sometimes we will not understand something completely. But if we practice, then we may reach a point where we are ready to understand something. Then, because we have laid the foundation of practice, the teacher’s simple answer can open up or clarify the point. That is why, Rinpoche says, practicing what we are taught will be more beneficial than asking lots of questions. Questions can be very important and we are encouraged to investigate the teachings of the Buddha. In the tradition of scholarly debate, asking questions sharpens the intellect. Yet, in practicing the path to liberation, we can create obstacles with these questions. 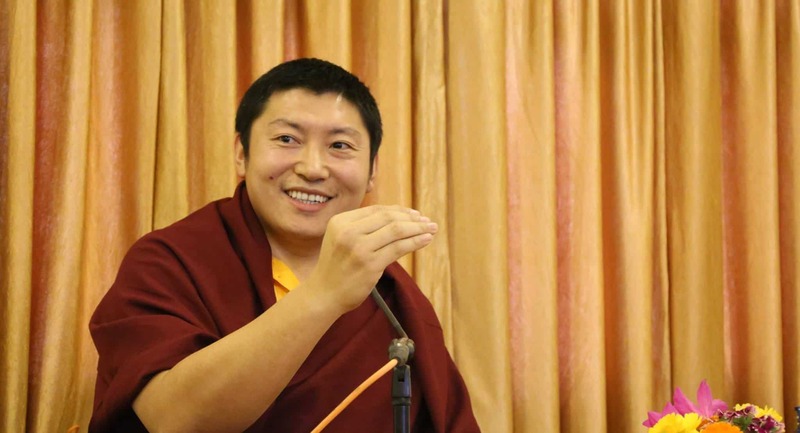 First, Rinpoche says, we can simply get stuck in thinking too much. Secondly, we may have a cultural bias of wanting to know everything completely before we start. Yet, this is a type of paradox. Sometimes, we cannot understand completely until we actually try and practice. We need to go through the experience. Reading about it, hearing about it, and asking questions is different than truly experiencing something, right? And if we keep asking questions and get more and more instructions, then that can create more ideas that are conceptual, not experiential. Then it becomes a never-ending cycle of questions and answers. On a personal level, Rinpoche understands that often we only get to see a teacher for a very short moment. That actually can be beneficial, because it forces us to be very clear about what we want to ask. We can really be sure of what we need. However, the danger is that if we are always near the teacher, we often ask questions that aren’t really important. Sometimes, we forget how precious it is to be able to ask the important questions. Rinpoche says that this is why he often now doesn’t give practice advice right away. This can help us by making us think about what we want to ask and to really make sure that the questions truly are the big issues. We need to understand the difference between academic or philosophical questioning and practice advice questioning. If we are in an academic setting it is, of course, very good to ask many people the same question. We’re doing research. We are learning so we need to know many different perspectives. In that situation, it can be very beneficial to ask questions of people from many different traditions or backgrounds. That is appropriate since that is how we learn. When it comes to actual practice, however, Rinpoche explains how it is not the same. When we have taken a teacher, then we ask our own teacher when we have a question and we take his instruction or advice to heart and practice it. In this case, we should not run around to other teachers, Rinpoches, or lamas asking the same question over and over because that will confuse us. Rinpoche explains that this is not because the teacher is trying to create a cult or brainwash us. Instead, it is a practical method of keeping a student on track. 0 responses on "Applying a Teacher's Practice Advice"